Four years ago, I sat on the floor of the first home I had shared with my husband, ruthlessly sorting my collection of classroom materials. In one pile I stacked my most beloved read-aloud books, which I planned to keep for the baby who was growing in my belly. I boxed up the still-usable-but-unneeded resources that I could pass along to other teachers. Finally, I tossed aside the materials that were beyond repair. I had recently switched careers from education to publishing. It was a thrilling and hard-won change after feeling lost and burned out only a few years into what I thought was a lifelong calling to teach. But despite my giddiness at reaching the publishing dream that once felt impossible, I still found myself hanging on to the trappings of my former life. The voice of my inner critic warned that perhaps I hadn’t thought things through, that I wouldn’t be good enough to succeed in this new role. So I clung to my classroom supplies as if they were a safety net, albeit a thin one, in case I needed to go back to the classroom. In a way, I felt like a mom who was finally ridding her home of all the baby gear. I was a little afraid that the act of giving it all away would bring on an urge to return to my former, safer role as Ms. Bergman. Though I loved my new job and sensed it was a better fit for me than teaching had ever been, underneath the tension I felt a deep sense of grief for the vision of my life that I’d given up. In some ways I felt like a failure—I had lasted only five years in education—and in other ways, I felt brave and capable—I had struck out to start a new career in a field where I had no experience, and I landed a job where I could see myself long term. But then again, I suppose we never really know what the long term holds. As a teenager, I expected life in my thirties to be marked by political success. I thought I’d be living in a major city, working my way up the ladder at a law firm, and preparing to run for Senate. I might be married, definitely wouldn’t have kids, and would be thrilled with this arrangement. As I prepared to graduate from college, I imagined life in my thirties would have me married to a godly man, staying home with our three kids after a short-but-rewarding career teaching elementary school, and perhaps volunteering in the church nursery a few times a month. I would be thrilled with this arrangement. As it stands now, just a few months past my thirty-first birthday, I have been married for five years and am the mother of a high-energy three-year-old girl with another baby on the way, work as a copy editor at a publishing house, and write essays in the early mornings and other cracks of time. Most days I am content—and often thrilled—with this arrangement. My personality type thrives on having a concrete plan—for the day, for the week, for my career, for the next ten years of my family life. I constantly have the ideal version of my life in view and believe if I can just push a little harder and be a little more virtuous, I’ll reach that ideal version and everything will be happy-clappy after that. But my life has taken detours I didn’t expect, regardless of my carefully laid plans, and I’m no longer under the illusion the future will be any different. You can read the rest of this essay over at Kindred Mom—it’s part of their January series on Freedom. 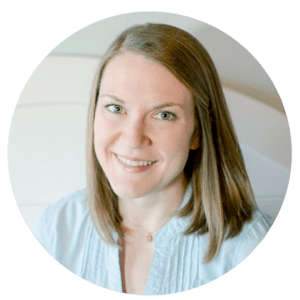 While you’re there, check out the podcast episode I recorded with Emily Sue Allen, the founder of Kindred Mom, about goal setting, adjusting my expectations, and chasing dreams while mothering young kiddos.